Since I’m not working actively on RICcreator in the moment, not much have happened the last few months, however I just rewrote some terrible code which was not safe. 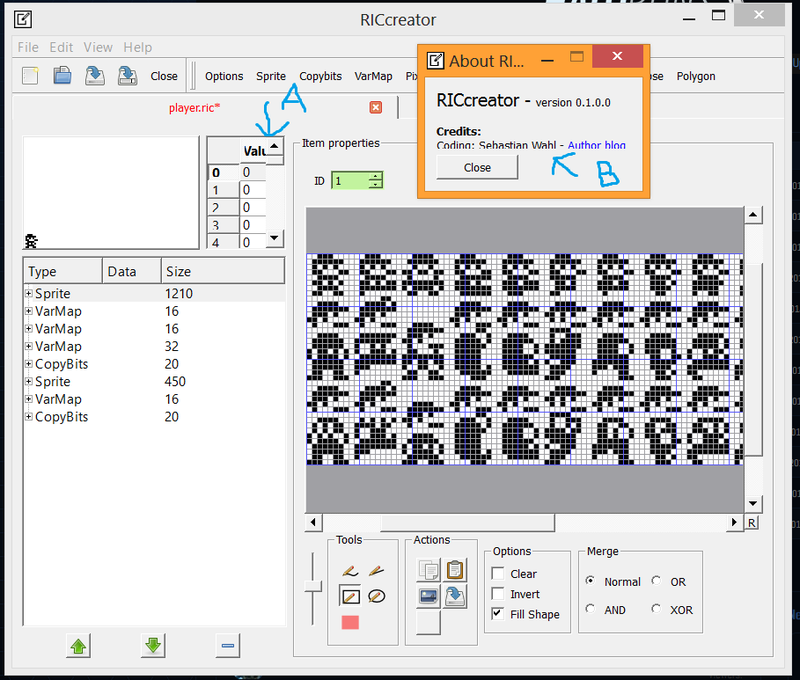 RICcreator would crash if the settings.xml file is formed differently than expected, so when a new version changed the format, it would crash if the old .xml file was kept. This doesn’t share the problem rapidXML has, because child() returns a “NULL” object on failure. The NULL objects functions all return another NULL object, so you can chaining like this is completely safe as long as you check the final result. So I have rewritten all XML handling to use pugixml now and I’m quite happy with the result. The code is a lot prettier and most importantly, it shouldn’t be able to crash like before. The dithering have been changed to use Filter Lite instead of Floyd-Steinberg, which produces nearly as good result but which is quite simpler (and therefore faster). A fun addition is grayscale importing support. If you want to toy around with grayscale images on your NXT, RICcreator makes this easy by letting you import the same image several times with different thresholds in one step. The Number opcode is now no longer aligned to multiples of 8, as this limitation has been removed in the enhanced firmware. Seeing as this is the most recent post about RICcreator, I thought I might type up my thoughts on it so far. another feature i liked in nxtRICedit was the ability to shift all selected rows or columns, handy for removing whitespace quickly, and the mirror button was nice for sprites like dear Mario up there. Having tooltips for the bottom three (or maybe all) of the Actions buttons would be pretty nice, since i wouldn’t know what they do without using them with the exception of copy and paste. I rate it 8/10, on par with nxtRICedit. But this was why I thought it was important to have an open-source RIC editor; even if the main author loses interest, other can still make bug-fixes if worst comes to worst. Changing the grid size was planned, but I never made the settings window I intended to place the option in… Did also consider the ruler, but felt it was too much work. About the shifting feature, do you use it for anything else than removing whitespace? I found it rather strange, and therefore just have the auto-crop action (last button in the action section).